The Kids Merino Cap from Jack Wolfskin is a top choice for family walking trips or simply hanging out with friends at the neighbourhood street party. 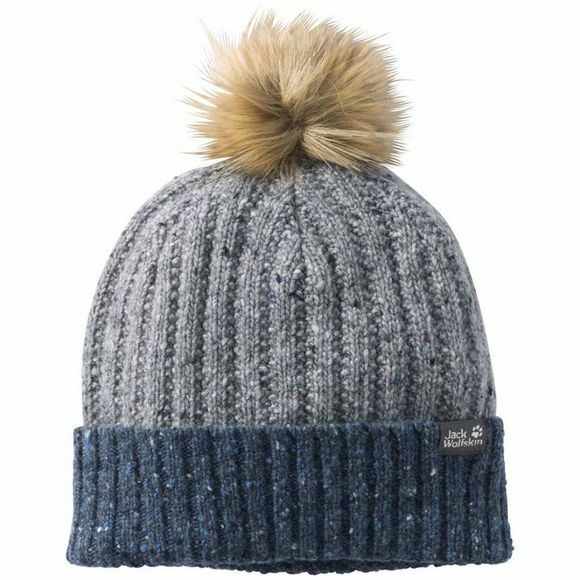 This hat isn't just warm, it looks really cool, too.The merino wool blend fabric has a very pleasant feel and the wear climate is excellent. The wool-rich fabric has thermoregulatory properties and is fast wicking, so when the pace hots up the head won't. This hat was designed to appeal to the fashion conscious youngster. For extra style points, the hat has a large pom-pom and a colour-contrasting turn up.